A mission statement describes the overall purpose of an institution, organization, or individual—its reason for existence. Oftentimes it will explain the target group served, the major activities conducted, as well as philosophy and values. Typically, the purpose of an institution does not change over time, though how it goes about accomplishing that mission might change given the environment at that time (Radtke, 1998). The University of Texas at Arlington is a comprehensive research, teaching, and public service institution whose mission is the advancement of knowledge and the pursuit of excellence. The university is committed to the promotion of lifelong learning through its academic and continuing education programs and to the formation of good citizenship through its community service learning programs. The diverse student body shares a wide range of cultural values and the university community fosters unity of purpose and cultivates mutual respect. The university is committed to comprehensive programs of academic research. This research effort requires attracting and retaining scholars who promote a culture of intellectual curiosity, rigorous inquiry, and high academic standards among their fellow faculty and the students they teach. The university prepares students for full, productive lives and informed and active citizenship. To that end, we have developed undergraduate and graduate curricula and classroom practices that engage students actively in the learning process. Outside the classroom a wide range of student organizations and activities contribute to the learning environment. Our service learning program offers students the opportunity to supplement their academic study with internships in a variety of community settings, testing their skills and aptitudes and challenging their values. State-of-the-art teaching technologies, distance education, and off-site instruction afford access to off-campus as well as traditional students. Non-degree certificate and continuing education programs offer practical, aesthetic, and intellectually stimulating opportunities for community learners, for individual courses, or a sustained program of study. The mission of a university can be achieved only when its students, faculty, staff, and administrators value and promote free expression in an atmosphere of tolerance, responsibility, and trust. The university regards these attributes as prerequisites for any community of learners and vigilantly strives to maintain them. Mindful of its role as a resource to the community, locally, nationally, and internationally, the university continually seeks partnerships with public and private concerns in order to advance the economic, social, and cultural welfare of its constituencies. We serve the needs of the North Texas community by sponsoring public lectures and academic symposia, as well as artistic, musical, and dramatic productions. Ultimately, UT Arlington is about “lifelong learning.” When fully embraced, the information and thinking skills gained in college establishes you to continue the learning process throughout your life as your world continues to change and grow. 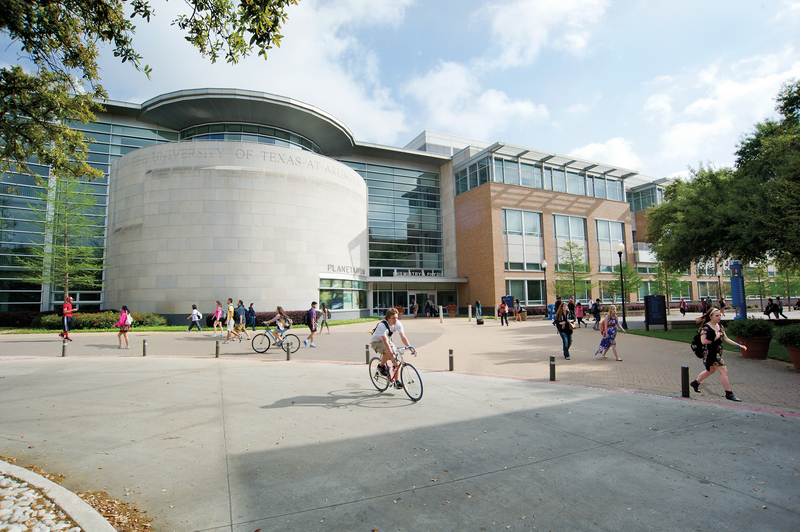 UT Arlington promotes learning as an active process by utilizing various methods—through research, inquiry, citizenship, service, internships, free expression, student organizations and activities, public lectures, artistic productions, etc.—rather than the passive absorption of information. As you encounter the discussions and assignments for the classes you take and pass by bulletin boards of flyers, consider how you are approaching your educational experience and think about if you are getting the most out of your time at UT Arlington. Read the UT Arlington Mission Statement and underline the key words and phrases that you think will impact you as an undergraduate student. How do you expect to be impacted by your university experience at UT Arlington? What can you do as a student to contribute to this mission statement? Discuss your findings with a faculty member or classmate.